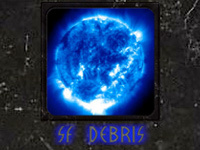 SF Debris reviews science fiction and fantasy videos, combining occasional serious discussions with comedy. Videos are praised when done well and mocked when they fail badly. Three Wraith ships are setting course for Atlantis, and there's only one hope for our tireless crew: a clip show!